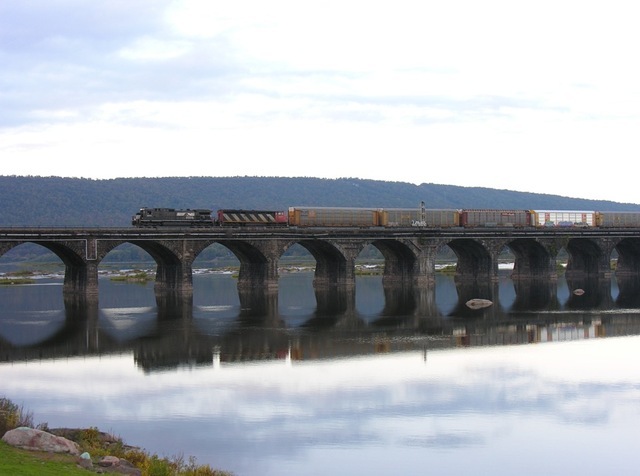 Nice lashup leaving Enola Tuesday with a pair of SD40-2 locos and a Sandersville switcher ~ at Bridgeview Bed & Breakfast. 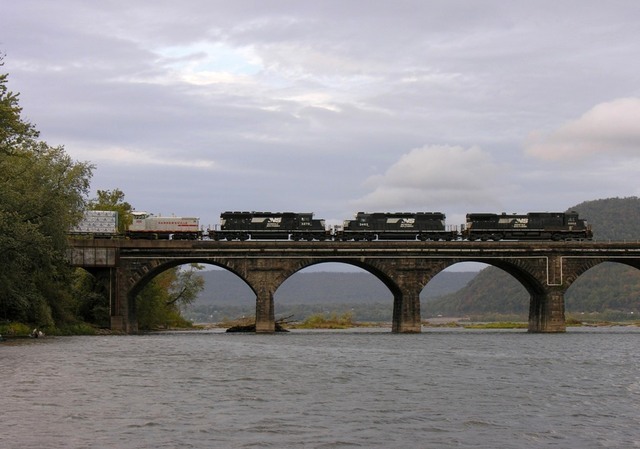 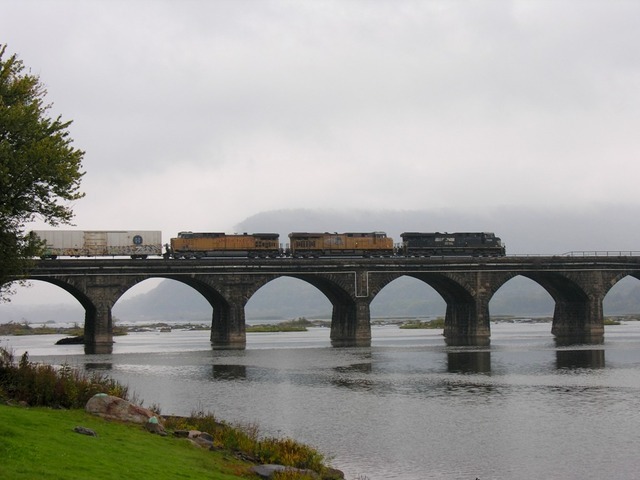 Monday an NS unit leads two UP brothers onto Rockville Bridge ~ at Bridgeview Bed & Breakfast. 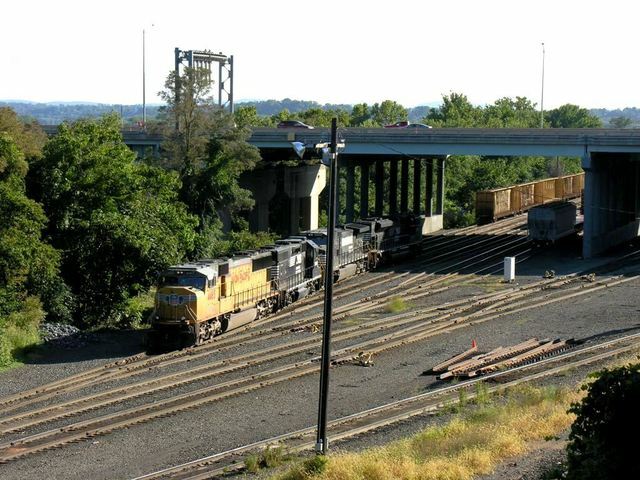 CN cowl unit & NS leader heading into Norfolk Southern Enola Yard Sunday evening ~ at Bridgeview Bed & Breakfast.